Our Mission is to revitalize, restore, and sustain the Historic Palace Theater as a venue that will educate, entertain, and inspire our diverse community. The Palace Theater in Hilo, Hawai’i has been entertaining the local community and visitors since the 1920s. Come and enjoy a connection to Hawai’i’s History! 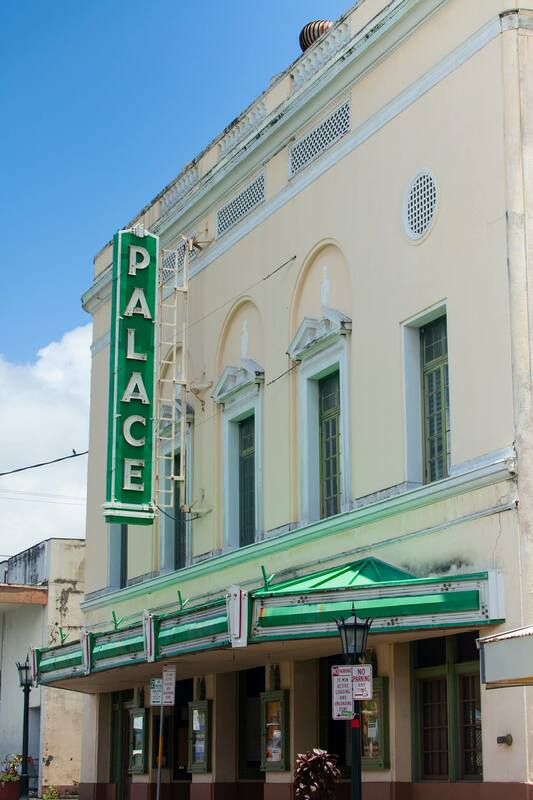 The Palace opened in October 1925 with the Silent Film “The Son of Zorro” Starring Douglas Fairbanks. Since then the Palace Theater has shown many types of films including Festivals, Documentaries, Independent, Sleepers, Art House, Academy Award Winners, Silver Screen Classics & still even shows Silent Films accompanied by the Palace Organ. But the Palace is a lot more then just a movie theater. Many Famous Musicians & Music Festivals, for example, have preformed here, covering a large array of music. Classical, Rock, Jazz, Blues, Electronic, Hawaiian & many other Traditional World Music acts. Live Theater, Musicals, Ballets & Halaus have also graced the Palace stage. Not to mention private parties and Hilo’s Special Events May Day Lei Day, Black & White Night & Chinese New Year. Mahalo to BOB BROWN of EYE EXPRESSION PHOTOGRAPHY for allowing us the use of his beautiful photos of the exterior and interior of the Palace Theater. You can see more of his work on his website at Eye Expression Photography .